1. 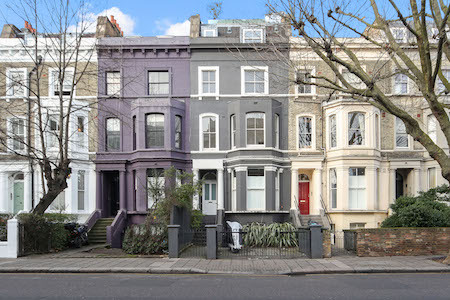 The first very compelling benefit of renting is that it can be a more economic option, allowing you to live in a home you wouldn’t be able to buy and in an area you would otherwise be unable to afford – think for example the heart of Notting Hill or Holland Park. We have some great family homes available to rent in North Kensington, close to wonderful local schools which would cost several million to buy but which have an affordable monthly rent. 2. The best thing about renting is the flexibility it offers. You can live in a property you would never consider buying – something über quirky, unique and contemporary perhaps. There is no need for a long term commitment so you can indulge yourself and live somewhere really special for a little while – whether it’s a funky warehouse conversion, a new apartment overlooking the water or a unique and quirky mews house. It may be completely impractical for the long term but perfect to make the most of life now. 3. For families, a very obvious benefit of renting your home is being able to move quickly and simply into the right catchment areas for your preferred school(s) – whether primary or secondary. 4. The option of furnished verses unfurnished often also appeals. Fully furnished properties, with everything supplied, right down to the knives and forks, are often popular with busy professionals or overseas tenants, while unfurnished properties may appeal to families, wanting to put their own stamp on the property. 5. Renting is a great solution for those undertaking renovations on their own home – allowing the contractors to get on with their job without you around. Many of our London rental clients are people who are moving for the duration of any work. We’ve had several applicants recently looking to rent for up to a year while their basement excavation is carried out. 6. The last benefit is the option to try before you buy; it’s a really good idea to rent in an area before buying there. This will give you a chance to get to know the area inside out and help to get to know the best streets. You can also make friends with the local agents so you can be one of the quickest off the mark when the perfect property comes onto the market. Interest in short lets is particularly high over the summer months. 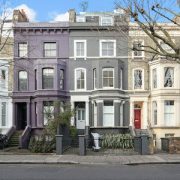 Notting Hill has always attracted those working in the film and music industries, who are often in London short term, and are looking for a stylish home in a chic area, rather than a sterile serviced apartment. If you’re looking to rent in London, please do contact me, susie@mountgrangeheritage.co.uk or 020 8962 5915.